It’s the most wonderful time of year and what better way to celebrate it than with a festive workout….the 12 days of Christmas WOD. As you can see below the 12 days of Christmas workouts vary from box to box but the theme remains the same, complete the reps in the same fashion as the song. So you would start with the first movement, then the second movement followed by the first, then the third followed by the second and first, etc. 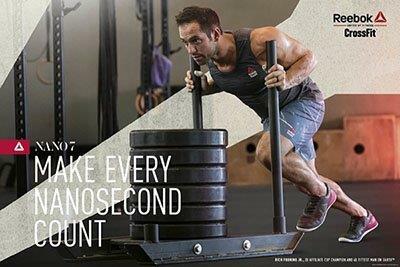 At first glance this workout may not seem that intense but all that will change about mid way through. With that being said you are going to be completing over 350 reps during this WOD, which is all worth it when you consider the holiday feasting that you will be taking part in. After reviewing several different Christmas Wod’s we have found our favorite, which was programmed by CrossFit Mayhem. These are fairly basic movements but we will break each of them down for you for complete clarity. Begin with an overhand grip on the barbell focusing on keeping your heels dug in and back straight. Pull the bar up by driving your heels into the ground and extend through your hips as the bar reaches your thighs. Rotate your elbows under the bar and rack in the front squat position. Lower your body slightly and drive upwards through your heels, when bar is traveling upwards move your feet into receiving position to hold movement. Hang from bar with both hands using a false grip, on top of the bar and pull yourself up. As you pull yourself up transition from pull up to dip and press down to drive your body upwards and complete the movement. At a reasonable distance stand facing plyo box with you feet shoulder width apart and jump onto box. Without sticking the landing quickly touch down on box and jump off to the ground and repeat. From the mid thigh pull the bar into the body extending the hips, knees, and ankles. Shrugging the shoulders move your elbows high and outside of the bar then back around while pulling yourself under to receive the weight. Receive the bar in a full overhead squat with the arms locked out over the middle of the body and drive through the heels back to a standing position. Stand upright with your feet shoulders width apart, lower your body towards a squat and place your hand on the ground to support your weight. Then quickly kick your feet out to the push up position holding for a moment to ensure your body in straight in from hips to neck. Then move your feet back into a jumping position and spring up with hand in the air and repeat for your next rep.
To begin this movement lift a barbell to rest on your shoulders, focusing on keeping your elbows close to your body. Bending slightly downward and pressing through your heels press or push the weight over your head into a standing position. The pistol is a highly focused slower squat movement, you are basically going to do one legged squats. To start stand on one leg and begin to squat with all of your weight on that one leg and extending your other leg outward. Complete the movement until slightly lower than a traditional squat and return to the starting position. Grab the bar as if in pull up positioning but place your grip slghtly wider than shoulder width apart. Now engage your core, swing your legs back, and squeeze through core and hips to drive your legs to the bar. Your legs and arms should remain straight throughout the movement and should not result in actual swinging. Holding a medicine ball around your chest/chin area you will begin to squat as if front squatting, once in squatting position you will drive upwards using the momentum and power of your movement to drive the ball upwards towards the wall. Then catch the ball in a fluid downward squatting movement to complete your rep. Grab the bar with palms facing outwards and grip slightly wider than shoulder width. Slightly kick your legs to swing and pull yourself up until your chest touches the bar. Face a wall, place your hands on the ground parallel with the wall and kick your feet up towards a handstand position, resting your feet on the wall. Lower yourself towards the ground until your head touches and push up for one rep. Begin this movement with the barbell resting on your shoulders and elbows tucked close to your body. Slower lower into the squatting position and return to a standing position by driving through your heels. There you have it, our favorite WOD of the season and a quick run down of each of the movements involved. We hope you enjoy the workout and have merry Christmas! PreviousPrevious post:This Years Review of the Best CrossFit Shorts for Women!NextNext post:Bakersfield Crossfit Gyms – The 9 Best Bakersfield Boxes!